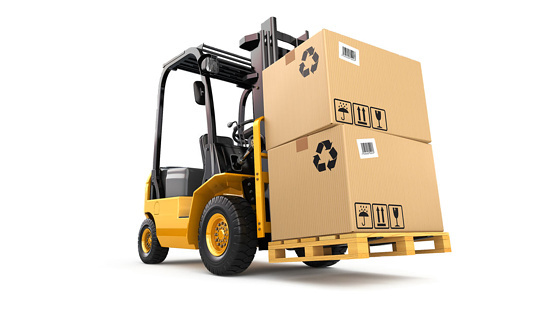 Our company offers a wide range of fixing and other auxiliary materials to secure the goods during its transport. The sharp increase in international trade is compounded by increased demands on companies, particularly in terms of ensuring the safety of transported costs. The ability to properly fix the goods so that they are not damaged during transportation, prevents the occurrence of risk and damage events. EKOFOL a.s. Besides a wide range of fixation and other auxiliary materials, we also offer expert consultants who can help you solve the problem. 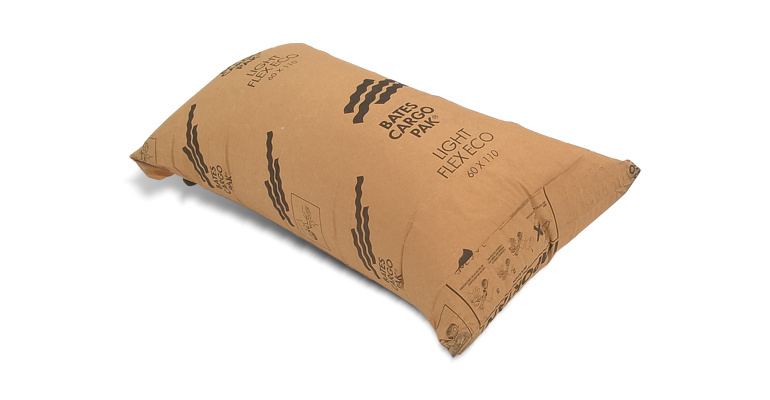 BATES CARGO PAK airbags belong to the market with the most dependable and top quality. Reliable securing of goods in a container, railway wagon or on the truck’s side is a toy. The speed and ease of service will surely convince you too. 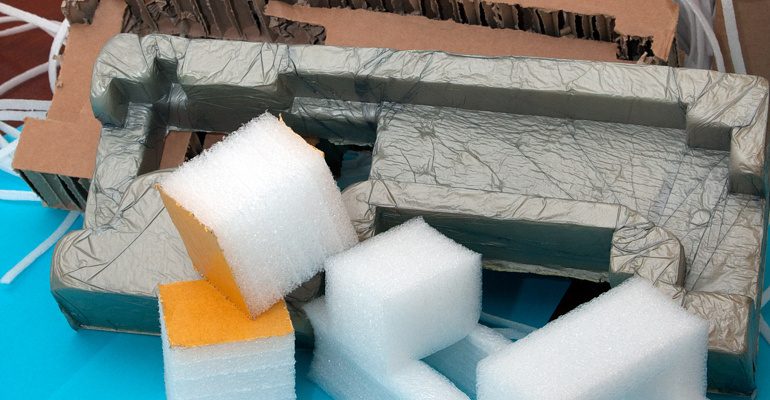 By using friction-enhancing materials, you can very effectively solve the problem of repeated damage to the goods that may occur during transport. 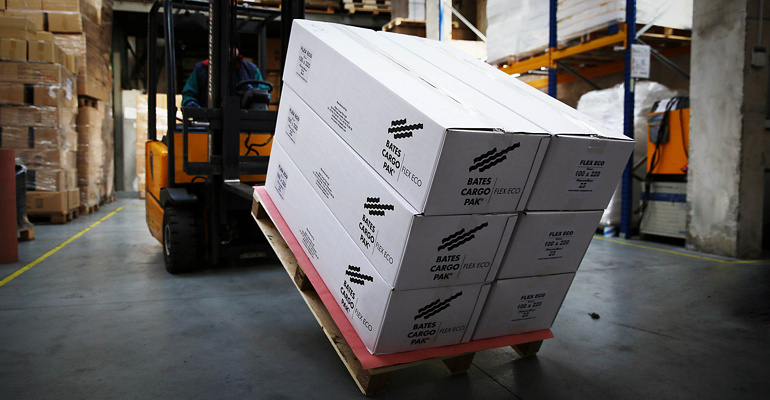 Whether to use special anti-slip pallets within a pallet package or whether it will be suitable to implement them at the level of the pallet unit as a whole, your staff will be glad to help you. One-time luggage in the form of PES is one of the proven tools you can use to fix your cargo during shipping. The strength of the bindings offered by us is checked by regular laboratory tests. Whether you choose the PROSTRAP series, composite, woven or hot-melt or special high-strength PROLASH, you can be assured of their reliability. 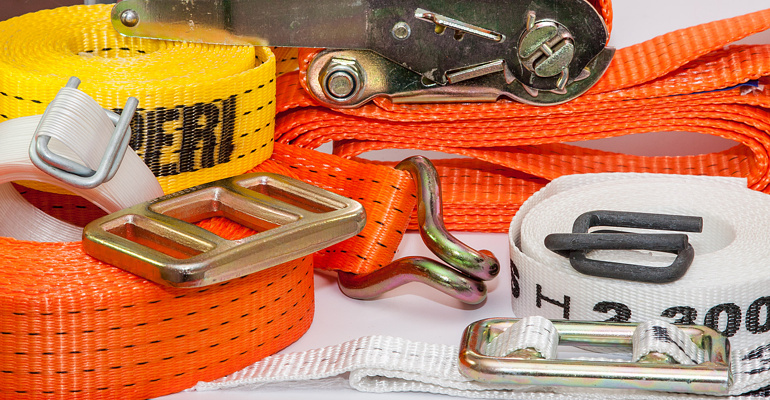 In our offer, of course, you can also find suitable types of buckles and tensioning mechanisms to create a secure fastening system. 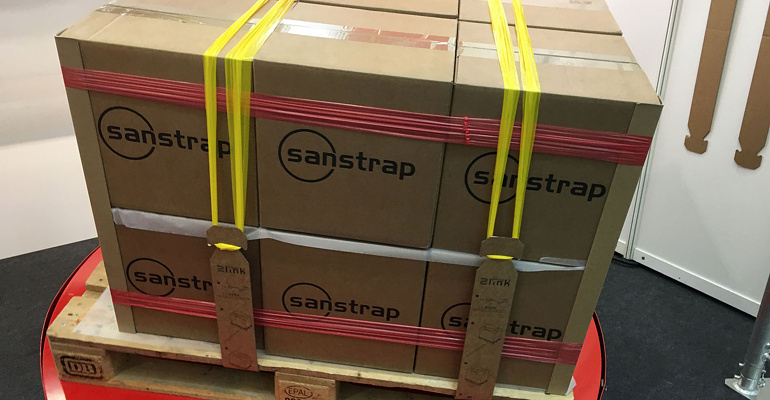 If your products are insufficiently secured, they may be damaged during shipping. In addition to dealing with customer complaints, faulty locks can cause serious injuries when unsecured goods are dropped when the door is opened. 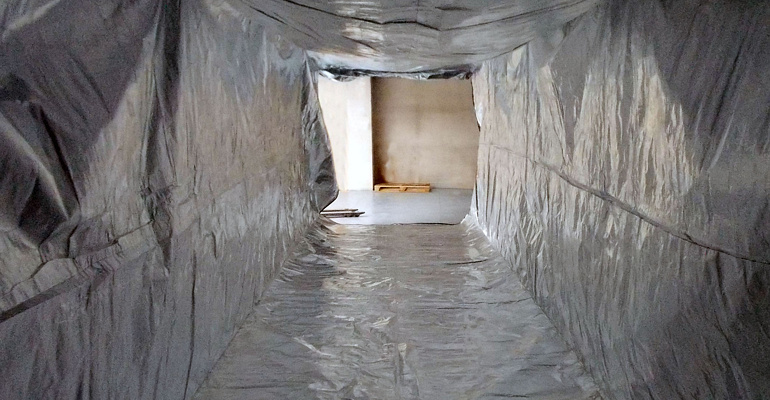 Container “safetysheets” eliminate this risk to a large extent, while at the same time contributing to a higher degree of fixation of goods inside the cargo compartment. Ease of installation and handling of this mobile barrier is just another extra bonus. We are increasingly struggling with weather extremes. Recordable heat or arctic frosts do not show most types of goods. Solving temperature differences between tempered stock and external environments is a more frequent topic than before. Palette thermo balls, either in a simple design, providing a reflection of the sun’s rays or in the form of a comprehensive insulation solution, can be the right answer to the challenges of nature. 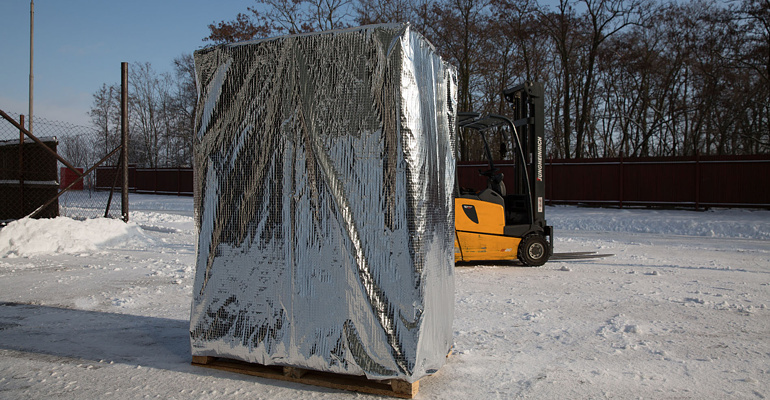 Transporting in container units is a highly effective tool for modern logistics. 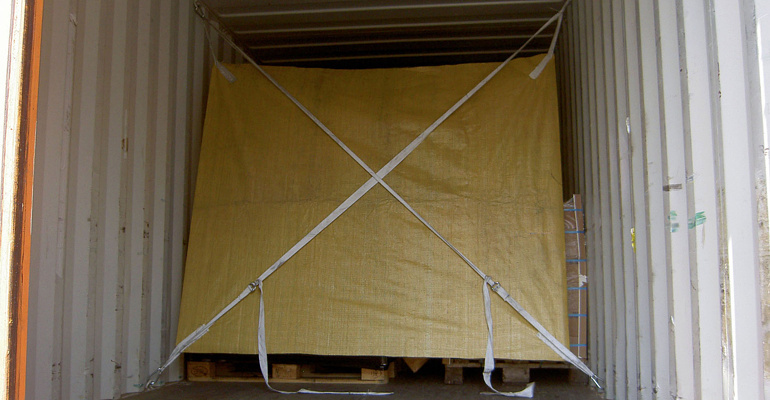 Although there are a number of container container variants, there are still materials that require extra shipping. When transporting liquids, loose materials or heat-sensitive products, it is possible to efficiently use the auxiliary containers placed inside the container. You can use a variety of different materials to secure the goods within the unit shipping package. However, only shaped fillings tailored to the dimensions of your product will ensure uncompromising fixation. These elements can also be used successfully in forwarding packages to eliminate cargo gaps and further increase their transport comfort. Need more information or do you have a specific problem? We provide professional consulting services and we will be happy to propose a way to optimally solve the way your specific goods are delivered to customers.